In August 2012, the OpenStack Asia Pacific Technology Conference was successfully held in Beijing, Shanghai and the city, setting off public’s interest in OpenStack. On this basis, China OpenStack User Group(COSUG) continues to work together with CSDN to further promote OpenStack in China, thus, a series of activities of the 8-city speech tour came into being. The OpenStack Tour, which lasted three months, successfully ended in Wuhan on December 22. This tour, which was organized by OpenStack user group (COSUG) and CSDN company, covered 8 big cities in China (Beijing, Shenzhen, Chengdu, Xi’an, Shanghai, Nanjing, Tianjin, Wuhan) Over 700 people participated in the on-site lectures and more than 30 people gave speeches. The event includes fantastic keynotes, which attracted more than 700 people to participate on site. 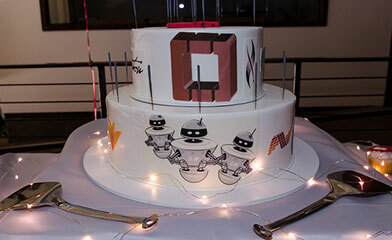 The event provided a good exchange and communication platform for domestic developers and users of OpenStack, expanded the influence of the OpenStack community, and enhanced the OpenStack domestic level. For the convenience of those who want to know more about this series of activities and OpenStack, we hereby write down the review and summary of the OpenStack China Tour activities. Hope you can further exchanges and communications between each other, therefore promote the development of OpenStack in China. Initiated by Hui Cheng, the lead manager of China OpenStack community, and co-organized by OpenStack User Group (COSUG) and CSDN, the 2012 OpenStack China Tour activities began on September 16, 2012, and ended on December 22, 2012, respectively covering Beijing, Shenzhen, Chengdu, Xi’an, Shanghai, Nanjing, Tianjin and Wuhan. The recruitment of participants took full advantage of CSDN, who has a huge amount of developer members. The participants of each activity are really interested in this technology. Venues were sponsored by the guests involved in the activities. Among the eight venues, only Shenzhen was under AA system, and the others were lent for free by local volunteers. The total enrollment of the 8 events is1060 and the actual number of participants is 710. The theme of which is around OpenStack, this series of activities convened companies and institutions principally engaged. 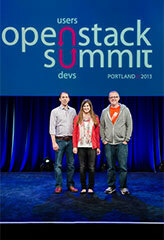 The lecturers were front-line OpenStack engineers, OpenStack code contributors, developers, experienced users, etc. The total number of lecturers is 31, 7 at Beijing stop, 6 at Shenzhen stop, 6 at Chengdu stop, 4 at Xi’an stop, 7 at Shanghai stop, 7 at Nanjing stop, 5 at Tianjin stop and 5 at Wuhan stop. 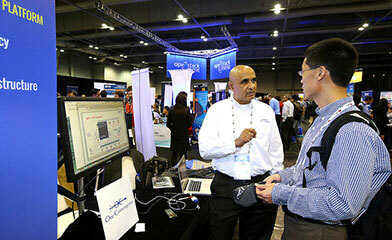 As the initiator of the 2012 OpenStack Tour, Hui Cheng attended the events held in six cities. Rongze Zhu, Storage Engineer of Sina Cloud Computing, also gave speeches at multiple stops. OpenStack China Tour (Beijing Stop) was held in workplace of Shanda Innovations. Core contribution engineers from Intel, Sina, IBM, Gamewave etc. made presentations. Over 150 engineers attended this activity on-site. And more than half a hundred of engineers watched the whole meeting live through WebEx. As the most influential OpenStack senior engineer and early evangelist in China, Hui Cheng gave a deep insight about the open ecosystem of OpenStack, and why OpenStack becomes so successful. Hui shared the latest OpenStack events happened both at home and abroad. The Shenzhen Stop Activity was held in 3Wcoffee. It was the first time that OpenStack came to Southern China. This event attracted over 80 on-site attendees. Most of them were Cloud specialists, IT engineers, as well as OpenStack users from Canton, Shenzhen, Hong Kong and Hangzhou etc. The Chengdu stop event was held at e Coffee in Tianfu Software Park in Chengdu. Hui Cheng, community manager of China OpenStack User Group (COSUG), led engineers from Redhat, Ubuntu, Sina and IBM to this event. All of them made wonderful presentations, which attracted about 100 stackers to participate in this activity. The Xi’an stop event was held at Qing Feng Plaza, Software Park in Xi’an. Engineers from RedHat, Sina and Stackform attended this event. All of them made wonderful presentations, which attracted about 110 stackers to participate in this activity. The Shanghai Stop event was held in an innovation workshop. Engineers from Sina, Intel, trystack.cn, and Dell gave wonderful speeches. 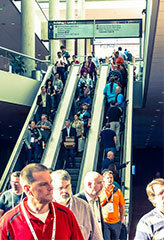 Around 40 OpenStack enthusiasts attended this event on-site. The Nanjing Stop event was held in Gulou Campus of Nanjing University. As one of the founders of China OpenStack User Group (COSUG), Yujie Du gave a speech at the event. Cloud computing architect from 360buy, Manager of NEC Development Department, OpenStack community developers, Ubuntu developers and technical pre-research engineer from ZTE the Openstack gave wonderful speeches. The number of on-site audience was more than 70. The Tianjin Stop event was held in the Tianjin Economic and Technological Development Zone. Representatives from the four major open source platforms (OpenStack, CloudStack, Eucalyptus, OpenNebula) got together and explored the future development of OpenStack. In the panel forum, Hui Cheng (OpenStack user group (COSUG) Administrator), Xuehui Li (CloudStack Committer), Qingye Jiang (Eucalyptus Account Director), China cloud Junwei Liu (computing researcher of Academy of Telecommunications Research) launched a discussion. Each of them introduced their most successful open-source platform deployments. The Wuhan Stop event was held in Huazhong University of Science and Technology. Experts from Sina, Zhongda Huanyu, and OS-Easy gave speeches on the following topics. The activities of the the “OpenStack line” is a community collaboration Technical Tour of exploration. In the case of commercial sponsorship, community activities are often faced with three questions: Lecturer, venue and participants. The event lecturers are volunteers, travel expenses own burden, activities to attract so much lecturer to join, thanks to OpenStack have accumulated under the core members of the user group in China more than a year operations. Eight venues of the city, only Shenzhen is using the AA system, others are lent free of charge by local volunteers. Recruitment of participants take full advantage of the CSDN advantage of the huge amount of developers Member, participants of each event are really this crowd interested in technology. The event has accumulated a lot of experience. How to push offline activities to online. Offline activities have pros and cons. Interactivity is the advantage. Face-to-face communication is the most efficient. In the beginning of promoting technologies such communication is really needed. The disadvantage is that such communications are costy. In order to make offline activities as fruitful and influential as possible, collecting materials accessible online is need as much as possible, such as speech scripts, photos, video, and reports. On-site activities. Organizers were multitaskers, who were responsible for registering, contacting lectures, hosting meetings, reminding, taking photo, several roles to manage the conference attendance, Lecturer Contact presided over the meeting, reporting, etc. It would be better if some people are willing to take some tasks, if they don’t want, the tasks should be in order. Contacting lectures and controlling time are the most important, followed by collecting materials. Here is a tip. Here is a tip. You’d better collect speech materials as soon as the conference ends. Otherwise, you have to ask lectures email you their speech materials. If this is the case, you have to wait for a long time. 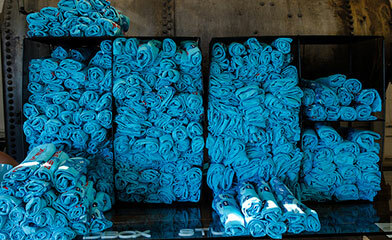 So the priority after the activity is to post the materials collected online. Meeting Application Control. To organize an offline activity, two extremes should be avoided. If few people, the scene looks empty. If too many people, it would be crowded. Attendees would feel uncomfortable. At the stage of releasing and promoting the activity, organizers should know how to make full use of the accessible resources. Promote from the core to the periphery. When the number of applicants reaches the expected goal, you do not have to re-accumulate marketing resources. In accordance with the experience of organizing community activities, to have 50% applicants attend the activity is reasonable. Location. Previous community activities helped bring some free venue, which can be reused .For the venue provider, supporting community activities is a good way to improve the company’s reputation. And if the activities are responding the company’s business, this is like requesting experts to deliver free trainings for employees. Software Parks and software base in some cities can also be sponsors. But in practice, free venues were gotten by using personal relationships, such as friendship, colleagueship, former colleagueship, and so on. If you can’t find a suitable venue by using some existing resources, you can seek help in mail group. Such as sending requests in COSUG mail group. But be sure to write clearly all your needs in one email. Otherwise, your frequent emails would disturb others. Internet search is also a good way. For instace, by googling keywords, “**community”, “community activities” to find related persons in charge. Generally, these people are active online. You can be linked to these people through various activities pages and microblogging. These people usually have some resources at the local, and are very kind. After visiting so many venues looking down, we find they all have advantages and disadvantages. Offices in companies have good conditions, but they are usually not air-conditioned on weekends, sometimes, you may run into blackout. In addition, security measures are strict and you have to registration at the door. 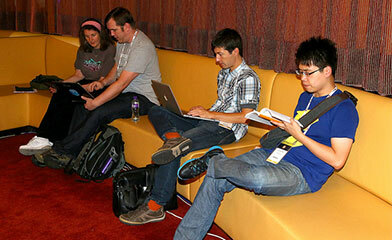 Cafes possess comfortable environment, but they charge and the space is limited. Big university classrooms are wonderful. But for foreign participants who are unfamiliar with the campus, they have to waste some seeking the specific classroom which is usually not identifed on a map. Software parks and software bases are extremely good, but you’d have to hold the activity there during the working day. Because on weekends, there are people in such work places far away from the downtown. Like lectures, alternative venues are also needed. Lots of lectures and audience will gather at one specific place at the same time. If the activity is cancelled due to venue problems, many people will be sad and disappointed, what’s worse, once this kind of unreliability spreads out , it would be more difficult to gather people next time. Concern about participants. Because community activities are frequently held on weekends, Participants are more enthusiastic than other people will be more enthusiasm. They are the resource of volunteers. Hosts and organizers should communicate with these potential volunteers at the scene. Reunions after the activity are a good way. Volunteers. Lots of volunteers are needed community activities. Some organizers think the recruitment of volunteers is very simple, just listing tasks, and waiting for claim. However, some organizers don’t think this is easy. This is a matter of opinion. Actually, many volunteers claim voluntary work by themselves. So clearly write down organizers’ email addresses or phone number on the propaganda or in email. This allows those who are interested to easily find you. Another method is to collect. List stuffs and tasks that need volunteers’ assistance in email or microblog. Then people would apply. Most volunteers are students, some are those who are very active in community. Summary and Review of the 2012 Openstack China Tour was posted on January 13th, 2013 at 12.25pm and is filed under community, Meetup..